By Xah Lee. Date: 2018-11-29 .
note: check your right hand too. 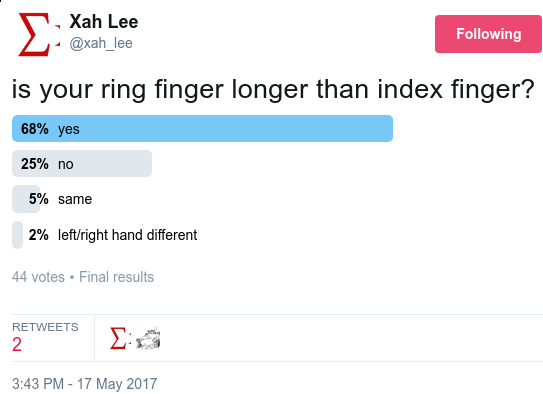 finger length index vs ring, poll result. just noticed today, my left hand, the ring finger is longer, but same on my right hand. also note that pinky is relatively super short. some ergonomic keyboards moves the pinky column more than 0.5 key length below the ring finger column. I think they are well designed, but makes them harder to adopt due to habit. the concave surface keyboard such as Kinesis Advantage 2 solves the short pinky problem by RAISING UP the pinky column about 0.5 cm. 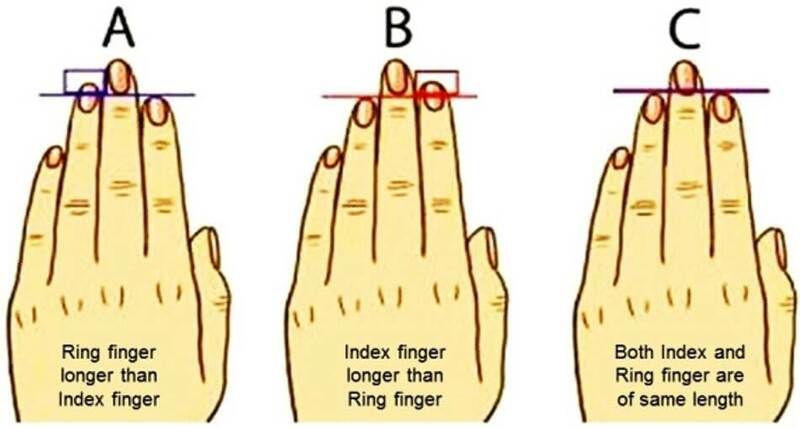 And lower the index finger column by 0.5 cm.